Rooibos is a unique herbal tea from South Africa. The Rooibos shrub (Aspalathuslinearis) grows exclusively in Cedarberg Mountain region of the semi-dessert Western Cape of South Africa. 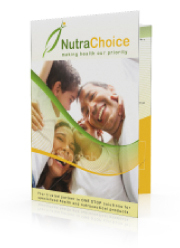 Naturally caffeine free (not decaffeinated), suitable for children, infant & breast-feed mothers. Low in Tannin that is astringent, bitter-tasting polyphenols that bind & precipitate proteins & interfere with iron absorption in the body. Contains enzyme Super Oxide Dismutase (S.O.D. ), an antioxidant which attacks the free radicals and loaded with lot of health benefits such as relaxing/soothing, regulate high blood pressure and sugar, atherosclerosis, allergic diseases, liver diseases and cataracts.